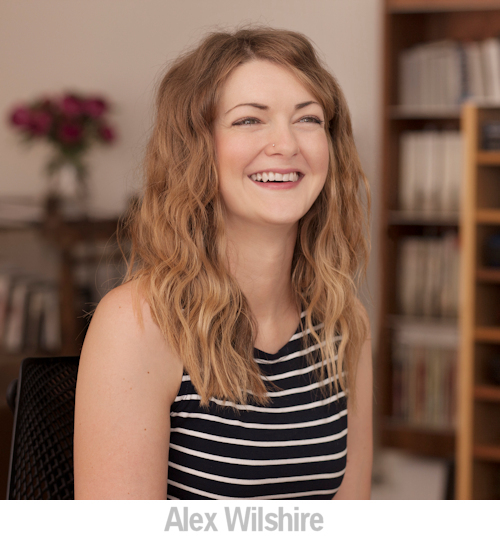 Career Insight - Alex Wilshire - Joint Director - Burnham Niker. 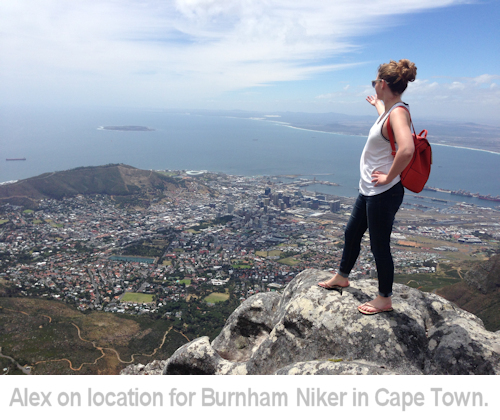 In the second of our articles profiling the photographers' agent Burnham Niker, we talk to Alex about her career and how she progressed to her recently promoted role of joint director. After graduating, Alex's first role was within an animation and motion graphics studio, then by building on the experience from this first job Alex moved on to television commercial production. Alex tells us about her experiences in the early part of her career, how this helps now and about her role as joint Director of Burnham Niker. Firstly, congratulations on your promotion to joint Director of Burnham Niker, it must be a very exciting time for you. Thank you, yes it is. I have had a great journey up to this point and I am looking forward to the future. You’ve got a degree in Film & Television, why did you choose to go for that area of study? I wanted to make sure that I did something at university that I had a genuine interest in and that I wouldn’t waste 3 years studying just for the sake of getting a degree, or being pushed into a subject that was perceived as a more sensible option career wise. I remember spending days on the computer in the library at sixth form reading the lists of courses that were available at universities all over the country and striking out the ones I didn’t like the sound of. I was eventually left with the media courses, in all their different iterations, and then set about looking into the universities with the best reputations for it. The idea of eventually working in ‘the media’ in any form appealed to me and I figured having a media degree would be the best way of demonstrating to employers I had a proven interest in it. When you started in your first job at the animation and motion graphic studio, did you feel prepared to enter the working world? Yes, I was so excited to get started. I always had jobs during school and sixth form and I took a year out working at a local newspaper before I started university, so I wasn’t fresh to the world of working in any sense. I was also very pro-active, in my final two years of university and got 3 work placements, two at video production companies and one at Sony Music in their video commissioning department. Even the few days spent here and there at these companies was so worthwhile and reassured me that this was the type of industry I wanted to be working in. What type of work did this involve? I started at Mainframe, the motion graphics studio as office manager / production assistant. I was there for just under 3 years and I did all the office administration, support and project support to the designers and producers that worked there. I slowly built on my knowledge of motion graphics and video production as well as learning skills in production generally, which also involved dealing with clients and managing projects. We had an edit suite, which I would use to lay off work onto digi’s for broadcast and even made some small edits myself. Working at Mainframe really ignited my interest in production and gave me the confidence to feel I could step up and eventually become a producer. Why did you move on to television commercial production? I felt it was a natural next step for me, I needed a change and a new challenge and although we were already producing shoots on a smaller scale at Mainframe, this next job I got at Loki was also a step up in responsibility, so I had a much more prominent role in the production of the shoots. I loved working with animation and illustration, but having the experience of working in moving image I thought could offer opportunities to the world of not just commercials and online content, but potentially short films or features one day. What do you think were the important experiences and lessons during those early years of your career? I was taught the importance of keeping a thorough and organised list! I have been writing my daily lists in an A4 black and red book since my first day in my first job. I couldn’t manage everything I do without being organised in this way. All the producers I have worked under also taught me that listening can be one of the best ways to learn, or at least build on your knowledge. I constantly had one ear open listening to all the phone calls and conversations in the office while I was working. It proved invaluable in terms of not just knowing the progress on projects or pre-empting things that needed doing, but also in learning how to conduct conversations with different people ranging from clients, to agencies, suppliers and the artists I represented. There is an art to successful communication and I learnt a lot of that through just shutting up and listening. Is working in TV commercial production that much different to working with photographers? TV commercial shoots can be much larger to manage in terms of crew, cast, locations etc than most photographic shoots, however I think the underlying production skills required are the same and then these are built on and adapted for the type of production you are doing. In both cases you are interpreting a brief, working closely creatively with the director or photographer, creating a budget, negotiating, problem solving, attending a shoot, ensuring delivery, maybe managing the post production process too and then enjoying the fruits of your labour on TV or in a magazine or on a poster site. Katy and Jenny both have photography degrees but prefer to work with photographers rather than be one. Do you have the same approach? When I was studying I never had the sole aim of becoming a director like some people on my course. I was always very open to where I may end up. I loved music videos and the idea of working on a music video really excited me, but I wasn’t too hung up in what capacity that would be, I didn’t know what the roles were until I started working. My favourite videos were always the animated ones or ones with a puppet or CGI element to it, so it lead me to the animation studio in a roundabout way. I feel now though that I naturally fell into a role where my skills were being put the best use. What excites you about working in a photographers’ agent? Working so closely with the photographers when deciphering a brief, I love getting involved in those initial stages of working out how a job can be done and how they can enhance an idea. I love seeing the work out and about. I get excited and proud to think I had a hand in producing that. I also love working with such a range of artists, they all have such a unique look on life and the way they photograph it, it’s a real pleasure to work with people so talented and excited by the work they produce. On a typical day I am in the office, in the morning I am checking through emails then transferring and adding to my list from the day before! From this I work out my priorities for the day and week and go from there, plus managing any new enquiries that come in that day. 70% of my time is based at our office, I am on the phone, emailing, quoting, I am looking through portfolios and I am managing photographer’s diaries. The other 30% is spent going in to see agencies with portfolios, at pre-production meeting or meetings for projects and attending shoots. Are there any of your Burnham Niker projects that stand out for you? We are really lucky in that our spread of artists attracts very varied briefs and you can become mini experts on the most random things for a few weeks. 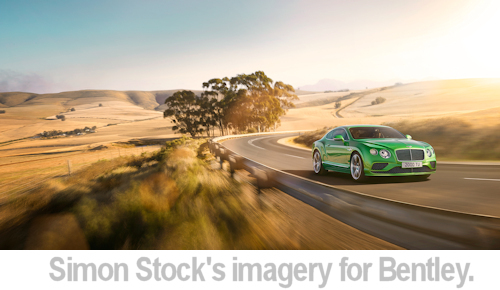 For me personally the project that has stood out the most is the on-going work we do for Bentley Motors with Simon Stock. I have produced shoots in the UK, US and South Africa and learnt huge amounts along the way from all the talented people who are part of the team. Senior positions can take you away from the creative work that perhaps motivated you to start, do you still get involved with that or do business matters become more important? I am lucky that my role as a director does not require me to move away from any of the creative work. I am equally involved creatively as I was when I first started at Burnham Niker. We are a small agency, so I get involved in every aspect of a job and I don’t see that changing. My role and responsibilities as a director in controlling the day to day running of the business with Katy happen alongside that. Moving up the business ladder is exciting, but do you still pursue any further learning or seek additional experience to broaden your knowledge? When I started working full time I made sure I did at least one course a year outside of work, they were part time and often creative courses. Over the last few years I have tended to make sure I am just keeping on top of what London has to offer with music, theatre and art. I am also sub editor of the London music paper Loud and Quiet, which I have been doing since it started over 11 years ago, so that also keeps me busy outside of my day to day job and of course Burnham Niker make sure as a company that we get out to as many of the photography shows and events we can. Are you still ambitious with your career? Yes. I am excited by the future and what opportunities that may bring for me personally at Burnham Niker. Looking back on your career from when you decided to take a film and television degree, is there anything you would have done differently? No, I don’t think so; I have loved all the companies I worked for. I have made some very good friends and got to work with some of the most talented people who are working today across lots of different mediums. There were some companies that I desperately wanted to work for and wasn’t successful in my application, but who knows how they would have worked out anyway. I am really proud of how determined I was when I first moved to London and how I achieved all the goals I wanted to. As I have progressed I have continued to meet some wonderful people, who have given me the encouragement and influence to help get me where I am now. What advice would you give to someone wanting to start out in the creative business world today? I think the landscape has changed massively in the last 10 years since I got my first job, and I think there are so many ways that you can get into the industry now, I definitely don’t know them all. I would say try and get as much experience in places as you can, speak to people about the jobs they do, how they got there. Try not to feel too despondent when getting knock-backs. I applied for 26 jobs before I got my first one. You are competing against a lot of people who have all just graduated and hungry for work, but you’ve got to remember that while a lot of them are great, a lot of them are totally useless too and it doesn’t take long to work that out. To stand out I think you need to be pro-active and polite, you have to care about what you are doing and certainly be enjoying it. If you stop enjoying it maybe it’s time to move on and try something new, there are so many creative opportunities out there, it’s just a case of hunting them out!